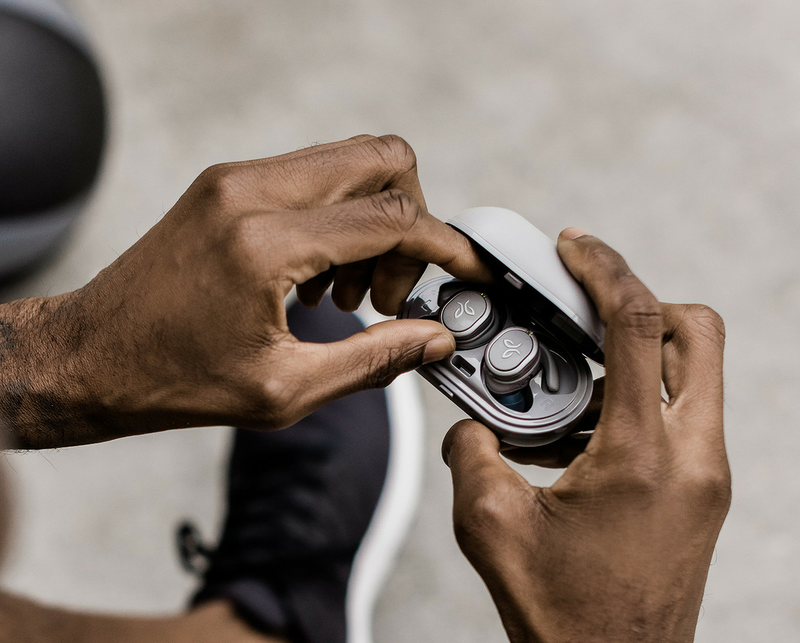 Jaybird is back with a second generation of its truly wireless Run headphones, the Run XT, which offer an improvement over the originals by adding full IPX7 waterproofing and some new colors options. While Jaybird is one of the go to names for wireless workout headphones, the company missed the mark with the first generation Run headphones, which suffered from unreliable Bluetooth connectivity problems that ultimately left the company’s first try a lackluster option compared to more capable competitors. Jaybird hasn’t said whether or not they’ve made any improvements to the system — the original Run headphones used a second Bluetooth connection to communicate between the headphones, instead of the Near Field Magnetic Induction technology that most other truly wireless buds work with. But assuming they do work better (which we’ll have to test for ourselves) the addition of waterproofing is nice, although I still wouldn’t risk them swimming, even with an IPX7 rating. The rest of the Run XT buds are more or less unchanged from the original: same design, same Siri and Google Assistant buttons, same option to just the right earbud (which Jaybird calls “Mono Mode”). Battery life is also the same: four hours off a charge, with two additional full charges in the case for a total of 12 hours. The Run XT headphones will cost $179.99, the same as their non-waterproof predecessor, when they go on sale sometime in February.